On May 17th we celebrated Daphne’s Birthday. 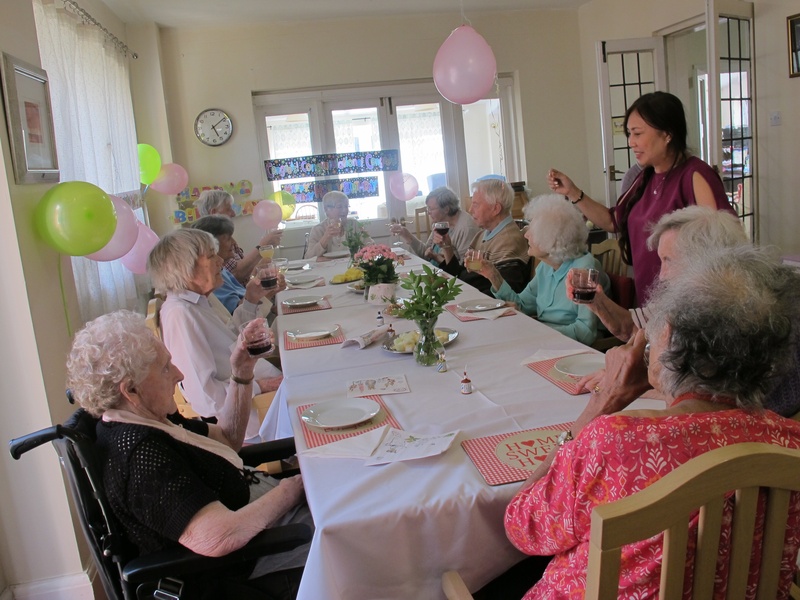 The residents sat together in a long table enjoying a glass of wine and nibbles. They also enjoyed each other’s company.